Bill Evans (1929–1980) is one of the most influential jazz pianists of all time. His style was called introspective or “swinging melancholy.” He achieved fame as a key player on trumpeter Miles Davis’s 1959 “Kind of Blue” (the biggest selling jazz album of all time and one of the most honored). For most of his career, he played in a trio context (with bass and drums) and was considered an innovator in the format. Evans had a long association with bass player Eddie Gomez but drummer Jack DeJohnette was with him for only six months (after which he went off to play with Miles Davis). One live recording by the trio was recorded in June 1968 at the Montreux Jazz Festival and it received a Grammy Award. Last year, Resonance Records released a newly discovered set by the trio “Some Other Time — The Lost Session from the Black Forest,” which was the only studio album by the group. 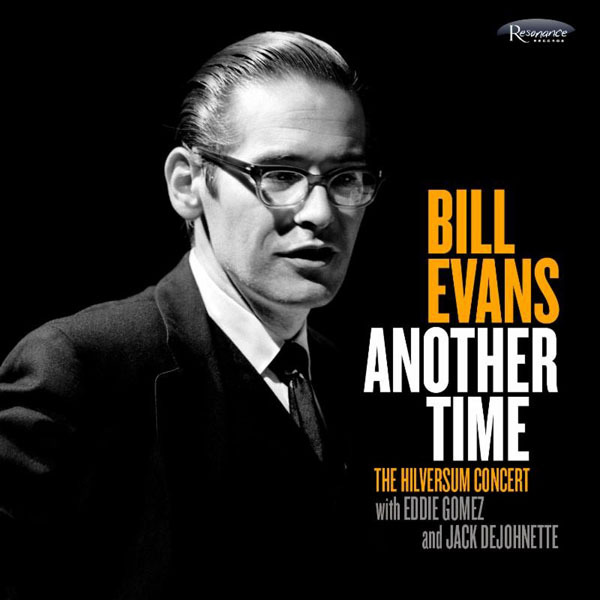 Now, Resonance has unearthed and released another important recording of the trio, “Bill Evans – Another Time: The Hilversum Concert.” The session took place in a radio station studio in Holland with an audience, but unlike, for example, Evans’s famous Village Vanguard recording, there was no clinking of glasses or other noises. The only sound from the audience came at the end of each piece when they applauded. The CD’s sound quality is excellent and all three members of the trio come through clearly. Evans liked performing in Europe because jazz was respected there and, as on this recording, he had a chance to play on high quality pianos. The pieces were mostly those he recorded numerous times but always found something fresh to say. Evans’s playing is mercurial, sometimes starting introspectively and then picking up the tempo and perhaps going back to the original mood. The album includes some of his own compositions, “Very Early” (a jazz waltz, a form he was partial to), “Turn Out the Stars” and “Five.” There are popular songs of the day: “Alfie,” “Who Can I Turn To” and “Emily” as well as Dory and Andre Previn’s “You’re Gonna Hear From Me.” The Gershwins’ “Embraceable You” is performed as a bass feature for Gomez and “Nardis” was by Miles Davis. In addition to the recording, the set includes rare photos and essays by Marc Myers, Zev Feldman and Bert Vuijsje plus interviews with the two surviving members of the trio, Eddie Gomez and Jack DeJohnette as well as pianist Steve Kuhn, who considers Evans a friend and mentor. Jack DeJohnette, recently described by New York Times critic Nate Chinen as “the world’s greatest jazz drummer in active circulation,” was 25 years old at the time of the Hilversum concert. Now 75, he is the oldest member of the all-star group Hudson, whose eponymous CD (on Motema) has been hailed as one of the year’s best. Along with DeJohnette, the group members are Larry Grenadier (bass), John Medeski (keyboards) and John Scofield (guitar). The name of the group stems from the fact that all the musicians live in Hudson County and the CD is a tribute to the songwriters who lived there, including key artists from the 1960’s: Bob Dylan, Joni Mitchell, Jimi Hendrix and Robbie Robertson (of The Band). 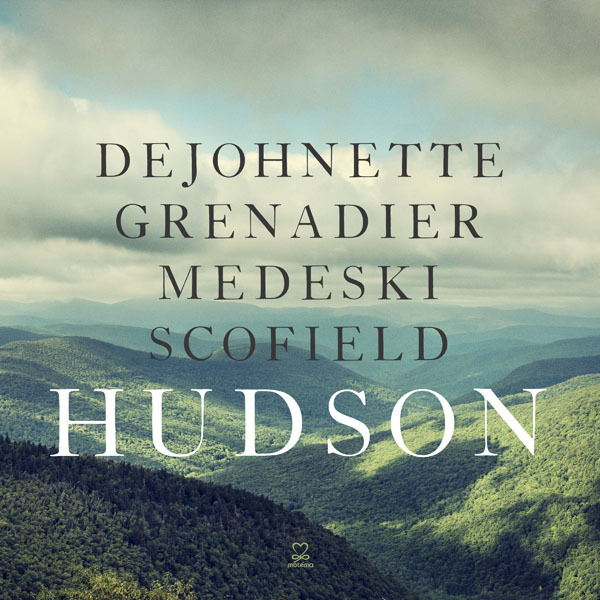 “Hudson” begins with an 11-minute spontaneous group composition that really cooks. Dylan’s “Lady Lady Lay” has never sounded more soulful than with Scofield’s guitar licks. He is also responsible for the two jazziest pieces on the album: “EL Swing” and “Tony Then Jack” (which refers to Tony Williams, who preceded DeJohnette as the drummer in Miles Davis’ group in the 1960’s). If Joni Mitchell’s “Woodstock” is dreamy, Dylan’s “A Hard Rain’s A-Gonna Fall” conveys his apocalyptic vision without any words. “Wait Until Tomorrow” recalls the excitement of Jimi Hendrix and “Up on Cripple Creek” has some fine honky tonk piano by Medeski. DeJohnette’s “Dirty Ground” features his own appealing vocal and the album ends with a native American chant (presumably a prayer for the environment). Hudson will perform at Jazz at Lincoln Center’s Frederick P. Rose Hall on Friday, October 6 and Saturday, October 7. For tickets, go to www.jazz.org. 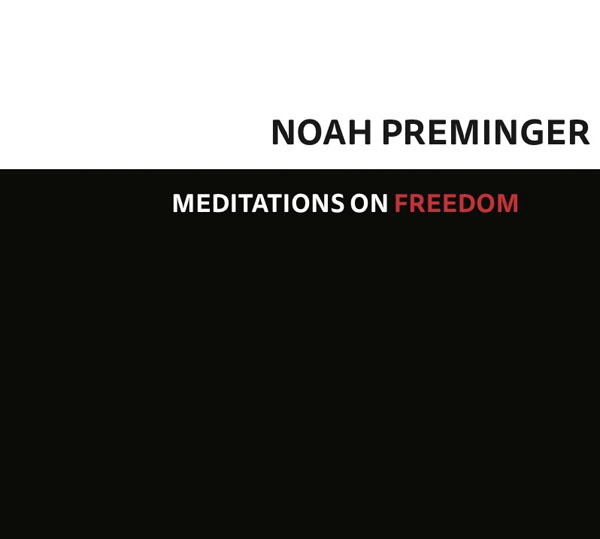 Noah Preminger is a powerhouse saxophonist, whose albums reflect thoughtfulness and political involvement. Last year, he released “Dark was the Night, Cold was the Ground,” an exploration of Mississippi blues, performed without a vocalist. His live show at Jazz Standard (with his group supplemented by Esperanza Spalding on bass) was memorable. Preminger’s original pieces also reflect his social and political concerns: “We Have a Dream” recalls Dr. King while “Mother Earth” (his own composition, not the Memphis Slim blues) deals with the environment. “Women’s March” is a reminder that our society still has a long way to go and “The 99 Percent” and “Broken Treaties” meditate on the societal divide. The interplay between Preminger and his trumpeter Jason Palmer puts me in mind of Ornette Coleman with Don Cherry, high praise in my book. They will appear together in the Jason Palmer Group at FONT Festival on Tuesday, September 12th at 7:00 PM at Shapeshifter Lab at 18 Whitwell Place in Brooklyn. I am always on the lookout for venues that feature great music with food to match. Some of the top venues have the first but either have no dining (such as the Village Vanguard) or mediocre food. One club that consistently provides both is Jazz Standard (which has the same food as the upstairs barbecue restaurant Blue Smoke). These are Danny Meyer establishments, which guarantees high quality fare. The kitchen is under the supervision of Executive Chef Jean-Paul Bourgeois. Jazz Standard has started Sunday Jazz Brunches for the first time in its 15 years. The brunch is $35 all inclusive, covering a full meal and cocktail. I had the ribs and they were delicious. There are 11:30 and 1:30 seatings and the upcoming programs are the Jay Sawyer trio on Aug. 27, Ted Chubb Band on Sept. 3, the terrific pianist Emmett Cohen (whom I saw performing in Christian McBride’s trio at the Montreal Jazz Festival) on Sept. 10, Alex Wintz Quintet on Sept. 17 and drummer and singer/songwriter John Fatum and his friends on Sept. 24. Catch a rising jazz star and have a gourmet meal at Jazz Standard’s Sunday brunch.